In the undersea colony of Civica, the last descendants of Earth have finally given in to their fears, and civil war is spreading like a virus. Thousands have died and many more are threatened. Captain Jacob Stone and the crew of the Rogue Wave have fled across Civica's protective border, and are attempting a dangerous one-way trip through uncharted waters in search of a new home. Along the way, they will face sabotage, starvation, mutiny, and even the loss of a fellow crewmate. 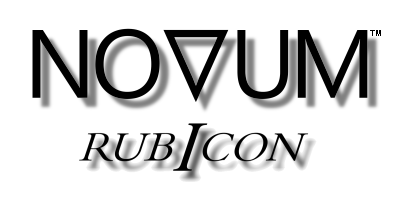 And, finally, they will come face to face with the terror of the deep, the monster of legends, the Novum.